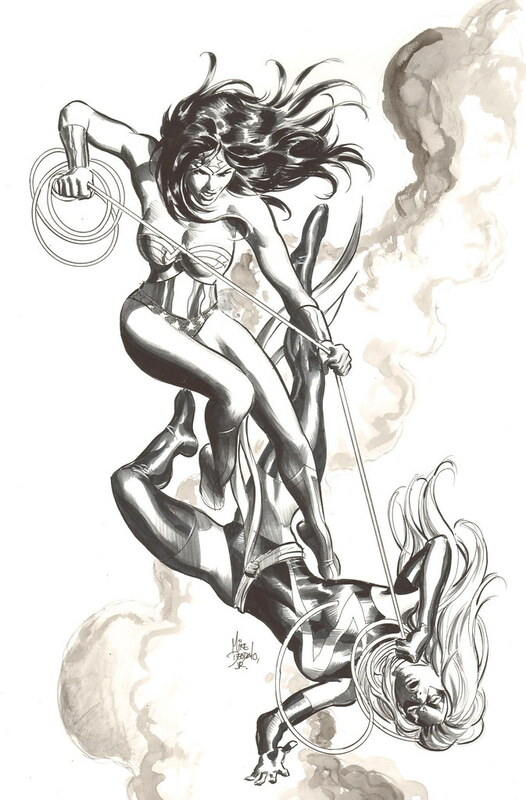 Here is a DC-Marvel fight I wish we could really see one day: Wonder Woman versus Ms. Marvel by Mike Deodato! Even though he is currently a Marvel guy, I think Deodato has it figured out who would win in this match. Hey, check out another cool Deodato commission on Giant-Size Marvel with Hulk versus Spider-Man! Nuff Said!